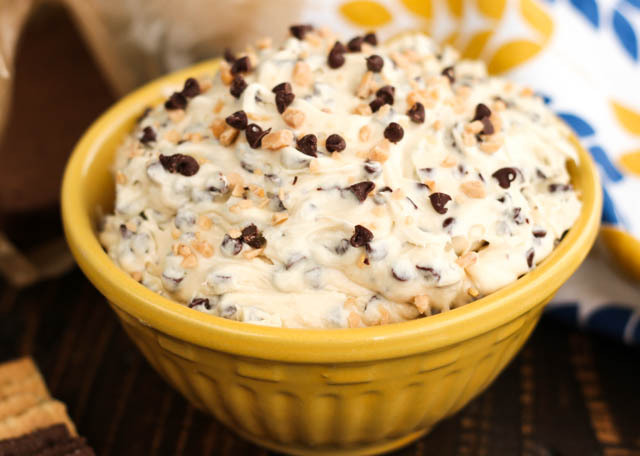 This easy dip recipe will quickly become a family favorite. 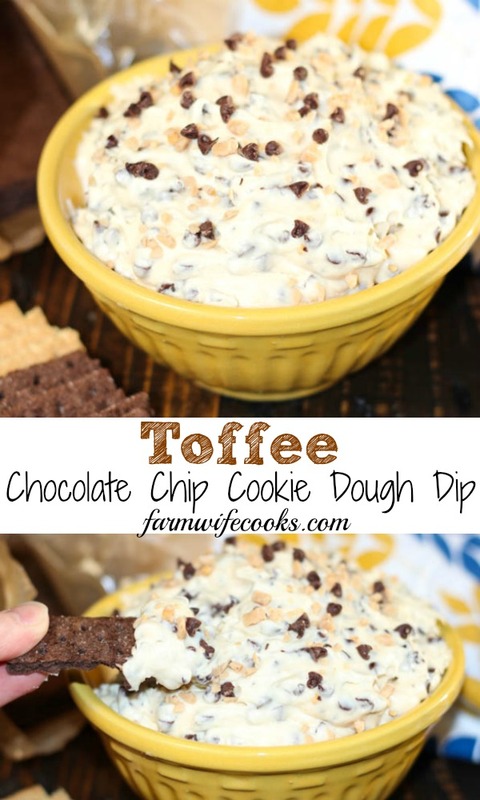 Toffee Chocolate Chip Cookie Dough Dip is cookie dough that is safe to eat and oh so good! A couple months ago I had the pleasure of heading south to Alabama with my friend Leah at Beyer Beware and The Farmwife Drinks to hang out at A Southern Bite’s test kitchen. 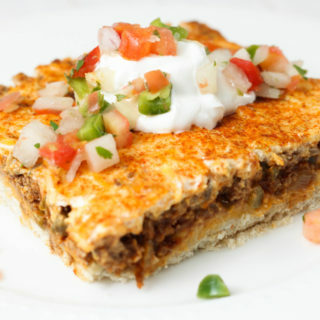 The County Cook had a couple recipes for us to make together and then share with you all and this is one of them! We also made these Instant Pot Italian Stuffed Peppers. Eating raw cookie dough is so tempting but it really isn’t safe to eat raw eggs so here is the solution! This dip is so easy to make and only has a handful of ingredients. 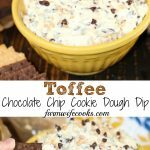 You can customize this recipe to your liking, leave out the toffee chips or substitute them for peanut butter chips or use dark chocolate chips, whatever you like! 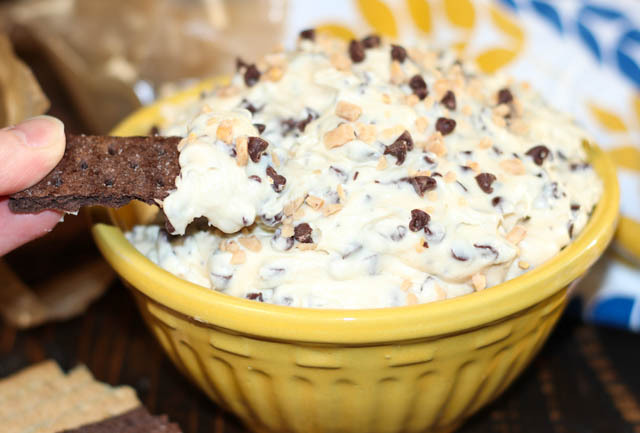 Graham crackers and animal crackers are the perfect way to get this dip in your mouth but vanilla wafers would also be good! 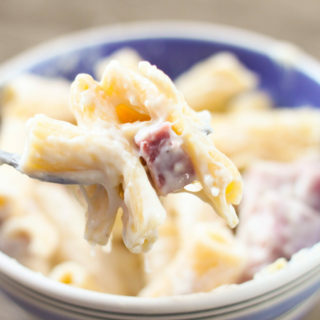 Using a stand mixer, or an electric hand mixer, cream together butter and cream cheese in a medium-sized bowl, on medium speed, until combined and smooth. 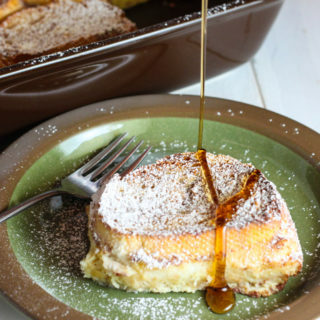 Gently mix in brown sugar, vanilla extract and powdered sugar on low speed. Stir in mini chocolate chips and toffee bits. 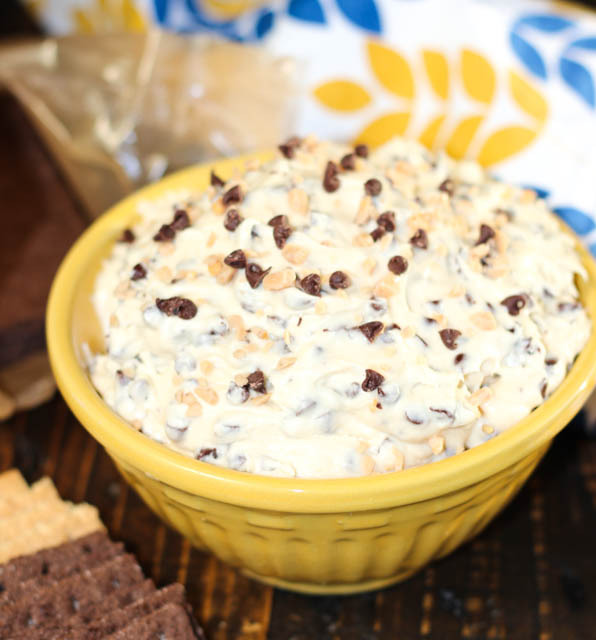 Serve with graham crackers or animal crackers for dipping! This looks delicious! Definitely gonna it a try and hope it will turn out excellent. Thanks for sharing.